Cheap Toys are monochromatic mini figures based on Garbage Pail Kids characters and were produced by the Topps Chewing Gum Inc beginning in 1986. Production for Cheap Toys began in the wake of Series 3 Garbage Pail Kids during the height of Garbage Pail Kids popularity. The Cheap Toy sculpts are limited to characters from the first 3 series, with the majority of the figures coming from the first two series. Leaky Lindsay, Double Heather, Brett Sweat, Muggin' Megan, Alice Island, Adam Bomb, Crater Chris, Graffiti Petey, Thin Lynn, and Brainy Janey all made the first cut. Each sculpt is roughly the same height, with Thin Lynn being the tallest, at around an inch and a half tall. The majority of the sculpts follow the original character art, and demonstrate a high level of technical skill through detail and rendering. Cheap Toys were originally created in Hong Kong at the Candy Novelty Inc. who had been making candy and candy containers for Topps for decades. A team of designers, lead by Jimmy Chan, created 10 sculpts for Series 1. It is unclear Jimmy Chan’s role in the toys actual designs, and no other information exists for the other’s involved. It could be even be revealed that Jimmy Chan is not an artist! Please note that The Candy Novelty Inc. now goes under the name of Ausome and is still prolific as always. Series 1 sculpts are the most popular of the two Cheap Toys series. This is due to many reasons, but on an artistic level, the artist who created these was very successful. But first, let’s discuss the cons. Most causal viewers comparing Series 1 Cheap Toys with other mini figures will notice that they are small and basic, and lack texture. Series 1 sculpts are also flat, and several of the sculpts do not ‘work’ from the side. That said, the Series 1 sculpts are for the most part contained forms, with little protrusion, however several sculpts feature cut outs, also referred to as trapped space or negative space. Furthermore, the Thin Lynn sculpt features a basic platform used to support the balance of the figure. Without this base, the sculpture could not stand on it’s own, and this feature is sometimes frowned upon in the Art World. However, the use of bases in mini figures is the norm in some toy lines. The Series 1 sculpts do not fail as three-dimensional designs. Where the artist sometimes seemed to ignore the element of texture, it was replaced by exquisite detailing. For example, take a gaze at the glossy matrix of Brett Sweat’s muscles. Brett Sweat is a mini figure masterpiece. This a fine example of how some Cheap Toys improved upon a Garbage Pail Kid, in ways the original art failed. What the artist did capture, that other toy designers often miss, is the character’s spirit and facial expression. How many times has this been a critique for sculptors: the sculptor creates a sculpture of original composition and a mastery of form, yet they forget to give their artwork a spirit???!!!!! So, for example, with all the form problems of the too-economized Adam Bomb sculpt, the artist created, perhaps, the finest GPK three-dimensional face of all time and, lucky for collectors, he did it with GPK’s most iconic figure. Also take notice and ‘connect’ with the spirit of Thin Lynn that comes out in her flirty, yet innocent body language that can be easily ‘translated’ by a glancing viewer. But the best example of this phenomenon of a sculpt’s character ‘saving’ its art-worthiness is in the sculpt of Graffiti Petey. In what could have been a throw-away figure at first glace, the sculpt’s genius is found by patient viewers in Petey’s tiny and transcendent eyes and smile. How can an inch and a half define Generation X in spirit and form? Proof and explanation can be given by many of the passionate collectors in this hobby who ‘found’ the beauty in these little sculptures. An important decision must have been made with great consideration, between the designers, on the color of plastics that would be used in casting and whether the toys would be hand-painted. A clever designer must have been on the team to have made the decision to leave the toys unpainted. This choice could have been influenced by the successful monochromatic MUSCLE toy line two years previous. I fantasize that this was an artistic decision and not a whole economical one. Consider how this toy line, itself, is in keeping with Punk Rock, the 1980’s, and DIY attitudes and how that translated into the aesthetic of Cheap Toy’s design: monochromatic, yet dynamic forms, with controversial content and an air of risk taking. One could only look to Garbage Pail Kid’s original artists and the 80’s Zeitgeist to understand how this toy line’s aesthetic was consciously and collaboratively formed. In simple terms, Cheap Toys are an exemplar product of their times. Series 1 was first manufactured for the American market and was first cast in 4 colors, Blue, Red, Peach, and Green. Collectors further distinguish these 4 colors into the 8 Base Colors: Light Red, Dark Red, Light Green, Lime Green, Dull Peach, Bubble Gum Peach, Light Blue, and Dark Blue. A short time later rubbery plastics were introduced and these came in brighter colors. These were distributed in Cheap Toy boxes in limited amounts. The new colors include Neon Red Orange and Yellow, Salmon, Orange, and deep Blue-Green. Other color variants, such as Pea Green, have been discovered. A number of these Cheap Toy colors come in a characteristic glossiness that is unique to that color, such as the high gloss of Bubble Gum Peach. Sculpt, color, plastic rubberiness, and gloss are all variables in Cheap Toy differentiation. The final, main variable are the copyrights located on the sculpt backs. One theory suggest that two separate molds were used which explains why each sculpt has a twin with a variant copyright. Considering both the Base Colors and the “Rares”, there are 200 Cheap Toys in a Master Set. If including copyright variations, there are over 300 in a Copyright Variation Master Set. In reality there are as many as 10 more unofficial colors, which push the number of different Cheap Toy Series 1s to near 500. Keep in mind that many collectors also collect Cheap Toys still in their baggies (MINT IN PACKAGE). Errors are also prevalent in this toy line. Finally, 1st series Cheap Toys were sold in boxes consisting of 24 tiny dark green trash bags each of which contained one figure, a small pack of wafers candy (Crummy Candy) and a tiny square checklist. The units were indeed ‘cheap’ and each cost .25 retail, also the price of a pack of Garbage Pail Kids. However many kids noticed the toys themselves did not look like .25 vending machine toys, but had the higher quality ‘look’ of MUSCLES figures, produced two years prior. Cheap Toys were sold in department stores such Woolworth, and toy stores such as Kay bee Toy Store, and gas stations such as 7-11. This writer’s only Cheap Toy spotting was in a Dollar Store in Snellville, GA (name I can’t remember) near my house in 1988. 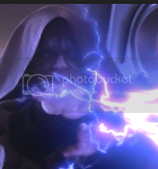 They were with some marked down Imperial items both of which, by then, I scoffed at and put down and now regret. Series 1 was first distributed exclusively in the United States. Some short time later some were produced for the UK market and sent to Topps Ireland, Cork for distribution across the United Kingdom. The “UK Cheap Toy” box was modified, in keeping with other Topps Ireland releases, with a printed white circle and the price of a single unit on the top right hand side of the box lid. The UK Cheap Toy box also converged the weights of its contents into grams and was printed in place of the American measurements. Little to no variation in Cheap Toy plastics has been proven to date. Yet a Cheap Toy color named “Midnight Blue” is believed unique to the UK release. This writer has documented another unofficial color, “Green”, from two separate UK toy lots. A third, low-production run was sent to Canada for distribution that featured a new color: Aqua, known by collectors as Canadian Aqua. A Canadian sticker, with both French and English writing, was produced to cover the front of Cheap Toy boxes. Canadian Aqua toys have been found in Cheap Toy boxes without this French/English label which might suggest this as Topp’s late attempt to increase sales. The Cheap Toy Base Colors printed in this Canadian run are slightly softer in both rubberiness and color tone, but are still extremely difficult to distinguish from US ones and collectors rely on provenance for id. One special difference in the Canadian Cheap Toy version is the lighter, slightly more bluish, and more transparent garbage baggies. The transparency of Canadian packs is so great that packs are instantly recognizable by seasoned collectors. Another obvious advantage is that the toys are easily distinguishable without even opening the packages. One disappoint is that the packs contain identical printing as the US garbage baggies. A forth, and final, low “test-market” run was produced in 1991 to coincide the release of the Garbage Gang release in the UK. 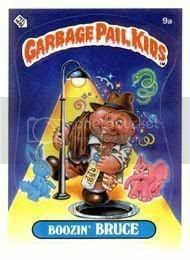 Since these new British Cheap Toys were to be manufactured after the Xavier Roberts lawsuit (Post Series 9) Topps replaced the illegal Garbage Pail Kid logo on the Cheap Toy box with the new Garbage Gang logo. Please note that The Garbage Gang sticker included characters from Series Post-Series 9(10-13). 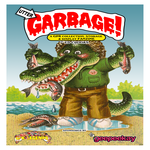 The Garbage Gang boxes were distributed by Topps Ireland, Cork. An unsolved mystery surrounds whether or not GG Cheap Toys were distributed to New Zealand and Australia. The greatest aspect of this final release is the 4 new colors used exclusively for this Garbage Gang release. These exclusive colors are known to collectors as UK Peach, UK Blue, Cinnamon Red or UK Red, and UK Aqua. The plastics used in casting are much harder than the denser, rubbery USA examples. Garbage Gang toys also float, such as in a cup of water, which is especially helpful in sorting UK Peach and Blue from USA Base peach and blue colors. Some new collectors question the large gap of time between Series 1 print runs in America, UK, and Canada ending, probably, in 1988, to the final Garbage Gang print run in 1991. So why did Cheap Toys disappear for 3 years? The answer lies in Topps decision to create a second series. Thus, this decision required a completely new set of sculpts and colors and countless artistic and marketing decisions. Series 2 production dates are debatable, but several collectors remember purchasing them in 1990, and one remembers 1989. Series 2, like the first, was produced, manufactured, and distributed in Hong Kong by the Candy Novelty Company. Theories suggest that Topps feared another lawsuit (1987, Series 10) which lead them into producing Series 2 Cheap Toys under another company’s name: Novo Bonbon. “Novo Bonbon” is French for Novelty Candy! The company name “Novo Bonbon” did not exist, or at least did not sell any products under this banner, until the CT Series 2 release. Many mysteries surround the Novo release; although, in the grand scheme of things, this must have been a minor detail considering the Candy Novelty Inc. were to be designing, manufacturing, and distributing Topps Cheap Toys (and all of Topps Candy and Toy products) anyway! Berserk Kirk, Catty Kathy, Les Vegas, Picky Mickey, Distorted Dot, Fishy Phyllis, Still Jill, Mouth Phil, Ali Gator, and Galloping Glen were all transformed into mini figures for this Series 2 release. The choice of characters still baffles many collectors, such as Picky Mickey for example. The great, bust-style, Bony Tony was bypassed for bust-style Mouth Phil. No Garbage Pail Kids characters from the popular first 2 sets were used, only characters from the third and forth. On one hand, the design team showed bravery in their decisions and as artists, such as in their insight to create a sculpt of grim Still Jill. Series 2 is successful in part to their electing these unlikely candidates. Another perspective is that the artists might have wanted to take on GPK characters that could be improved upon ‘in the round’. The Series 2 introduced a whole new set of 10 GPK characters in 4 colors. These sculpts were cast in 4 Base Colors: Red, Blue, Yellow, and Green ( another variant green plastic exists for this Series, a marbled Green-Blue). It is believed that Series 2 only had one print run, which might explain why the series never progressed from the 4 original base colors. The plastic used in Series 2 is much harder than the first series and allows the toys to float, which helps collectors id them. The 4 colors used in Series 2 are also more brilliant with a deep saturation than those used in USA Cheap Toys. For example, Novo Red, or Series 2 Red, is best described as Neon Red or Electric Red, due to its high saturation and slight translucence. Novo Yellow, or Series 2 Yellow, is exclusively and affectionately referred to as “Sunshine Yellow” in the hobby, and best describes the color. Also, there are 40 toys in a Series 2 Master Set. Considering the Green Variant, though only 5 examples are known, there are 50 in a Master Set. Series 2 have no copyrights and variants within sculpts are extremely rare to nonexistent. This suggests that Series 2 was manufactured within a short time, and in a controlled environment. Thus, no factory errors in this release are known. The Novo sculpts employ a different style and must have been sculpted by a different designer. Most collectors conclude this theory as fact. The biggest style differences are in texture and form. Series 2 demonstrate exceptional form and the pieces have elements that jut from all sides 3-D, such as tails and arms. The textures used in the designs are of a different technique and different tool, such as the bumpy nature of the character’s yarn hair. Series 2 sculpts are often praised for their height and volume which is slightly higher than thicker than Series 1 toys. This is a matter of personal preference, much like a lot of the information in this document, but is worth noting due to the consensus. The weaknesses of the sculpts lie not in their composition but in ‘character’ of the characters. This is quite the opposite critique given to Series 1 sculpts. Here, the artist seemed to forget the spirit of the ‘kids’ he interpreted. The artist interpreted the form but not the heart. For example, look at the expression or lack of in Galloping Glen, and compare his spirit in the toy design to that of the original sticker art. Several Series 2 sculpts are fully successful in form and expression, such as the tour-de-force Distorted Dot. Humorous is how Distorted Dot is often at the bottom of Favorite Series 2 Sculpts polls. Such is the nature and joy of Art. Series 2 came in similar garbage baggies, but with new printed label. Series 2 baggies are of the bluish green variety first introduced in the Series 1 Canadian release. Packs are also more translucent, but not as extreme as the Series 1 Canadian packs. Each toy also came with a newly designed, but similar, checklist featuring red line drawn characters. Instead of Crummy Candy, Series 2 Cheap Toys came with Garbage Can-dy (another popular Topps product, also made by the Candy Novelty Inc.) was used for this release. This candy change was probably well received considering the overwhelming dislike for chalkiness of Crummy Candy compared to Garbage Can-dy which has been a kid favorite for over 4 decades now. Perhaps, the most interesting variation in Cheap Toys is the Series 1 sculpts cast in Series 2 plastic. Three collectors have stepped forward and remembered finding only one or two of these per Series 2 box. A few recalled thinking it strange that the toy could not be found on the Series 2 checklist! To this day 16 Novo Series 1 Cheap Toys have been discovered. The general term used in the toy collecting hobby is “Super-Rares”. Novo Series 1s are GPK’s Super-Rares. The most hopeful of the Novo discoveries is that 3 of the 16 known figures are the same sculpt in the same color: Yellow Leaky Lindsay. The other 13 Novo S1s are completely different. Novo S1s have been found in all 4 colors, unless counting the Green-Blue Variant. Compared to the other monochromatic mini figures created before and since, and the list is enormous, GPK Cheap Toys are held in highest regard. Many consider this mono mini toy line to be the best ever in all the categories: sculpt, variety and choice of color, plastics, quality of packaging and market materials, importance, and collectibility. I also want to conclude that I CONCLUDE from all my research and time examining these 20 toys and constant review and compulsive collecting and manic tendencies, the fact that Alice Island and Berserk Kirk in are the BEST CHEAP TOYS EVER and that everyone else is wrong with their opinions and can go to hell!! Nice read. While I'm not as devoted to collecting Cheap Toys as you are Rus, I am proud to say that I have a full series 1 box in excellent condition and a complete set of series 2 figures. Excellent read, Russ! As for fuzz I wish you would search that series 1 box for rares and at least let us all know what you find. There could be neon yellow or neon green packs in there!! I'd love to see pictures of what you find. Yes sir you do Fuzz. I have told other collectors this, but I feel you have one of the best Series 2 sets, top 3, as far which sculpts in which colors, is concerned. They also all appear Mint. Speaking of which, many people are unaware of how hard it is to find a MINT Series 2 Cheap Toy. They are brittle and easy to scuff. I will be discussing this fact in an upcoming thread. Excellent read, Russ! As for fuzz I wish you would search that series 1 box for rares and at least let us all know what you find. There could be neon yellow or neon green packs in there!! I'd love to see pictures of the what you find. Thanks Sean, and I second that motion! ...Unless of course, the box is still taped on BOTH sides. In that case I'd leave it alone and get it graded like Lee did his sealed box. Fuzz, you could also take a video of the box search and have some cool music blaring in the background! Some great stuff Russ- I can't wait to get some more cheapies now- I wish you could just separate all mine so I knew what the hell I really have!!! I can, easily in fact, and would love to...all you need to do is lay them flat on a white towel or sheet, outside in a shaded(just so that the sun isn't glaring down on the glossy toys), but well lit area and take a photograph of EACH main color group, such as a picture of reds, blues, etc. and send pictures to: rusvan1@hotmail.com! ...and, this service is available to EVERYONE! Btw A, I know you're a Cheapie fan, but you'll like them MORE if you had them in their color groups and if you had them all(Base Colors) Let's get your army in order! I will do this weekend as long as no tornado's coming my way. Thanks again man for all your hard work-it will pay off in the long run. Great read, Rus. As a curious outsider, I now consider myself informed. Wow these are awesome. They remind me of M.U.S.C.L.E. men! These were produced 2 years after MUSCLE. There's a theory that Brett Sweat is a homage to MUSCLE figures. Janey that came with the pop up I won from you today in the mail. Can anybody shed light on the sculpting of original cheap toys? Were they sculpted in wax/soap? We're there any other characters considered for CTS1 set? More info!!!! More!!!! Damn good question! I have always wondered how the characters were chosen for the Crummy Candy! Obviously, Series 1 Cheap Toy were produced during OS4!! Jack O Lantern was one printed on the wafers-can you imagine that Cheap Toy?!!! That would be a great one Rusvan! There was so many that should've been made it's sad they stopped! It sure is!!! There's still hope for more Cheap Toys! Thanks Rus! A great read on something I knew nothing about. Never read it before very detailed and interesting read man! Thanks Masta!!! I love Cheap Toys more than anything, they are the heart and soul of my collecting passions. I'm so glad Minikins are finally being produced! We can all write the new 'history' together! Yea I've just got back into them in a big way Loads of novos have shown up recently it's nuts! I have one, and I need more, I need more I tell you. I'm fixing to have to rewrite this s**t.
It might be time Russ and maybe a new one about how the influence that custom cheapies and dihard collectors had in Topps motivation to produce minikins. I'd really like to read what you have to say on it! Here here yea that would be a good read.